From time to time I like to challenge myself to create new work that is something I don't normally do. Product photography is something I've done a little bit of but isn't something I've worked on to add to my portfolio. Shooting reflective surfaces is quite difficult. It's even harder if the surface is also curved. It can look beautiful, but like most product photography, it's done with several different exposures to finely tune and perfect an image. I like to challenge myself to see how nice I can do it in just one image and reduce photoshop work. Saturday evening I moved some things around in the apartment and tried a few basic setups. 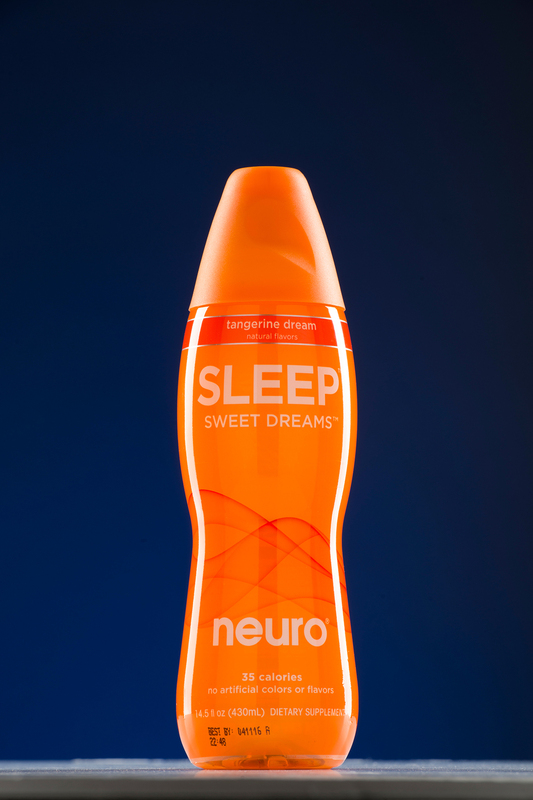 I new I wanted a line of light down each side of the bottle I chose, a "Neuro Sleep" drink, because of its unique shape/package. I also wanted to do it minimally, so I set up a couple of pieces of foam board to reflect the edge lights and become the lighting for the front. There's a quick look at the setup below. I shoot a few frames, playing with the angle of the boards and their reflection on the front of the bottle. I also worked with my strip lights on the back to find the ideal position to get their highlights to be the same and not too big. If I had the materials I would have flagged them off and made them narrower to get a thinner line. I was also limited by space. I would have moved them back and feathered them off more to make the lines a little narrower and softer, but doing that spilled too much light onto my background. I added a simple speedlight with two reflex blue gels underneath the table to create the glow behind the bottle.